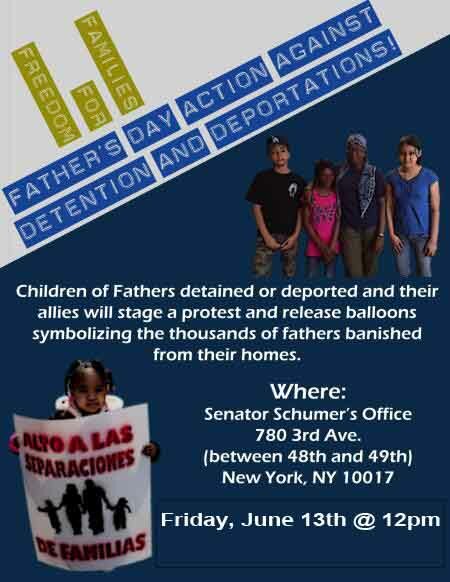 Stop deportation complex that tears New York families apart! Why: A quick review of U.S. Senator Chuck Schumer’s record reveals he has built a public persona as an immigrant rights advocate while turning his back on immigrants and specifically his fellow New Yorkers whose best interest and voices he was elected to represent. Who: Families for Freedom and directly affected families in partnership with Detention Watch Network, Enlace and Migrant Power Alliance. As the lead Senate Democrat working immigration, he was part of the failed Gang of 8 – which drove an enforcement-heavy reform agenda. At least 7K of the people from NY in the past 5 years who got deported have US citizen children.ICE’s detention and deportation policies are breaking apart New York City families and neighborhoods. From October 2005 through December 2010, the parents of 13,521 U.S. citizen children were apprehended in New York. This data is often not obtained from ICE, so the actual number is likely much higher. Previous Prison Divestment in the West!